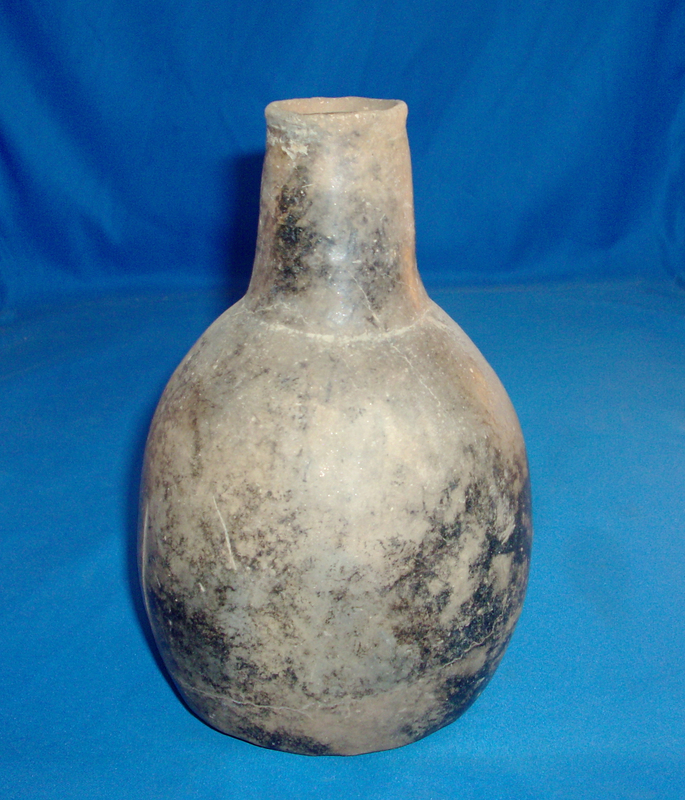 A Large Size, Well Made, Short Neck, Caddo Smithport Plain Waterbottle That Exhibits Surface Sheen & Aging Coloration Patina, Aged Bottom Use Wear, Visible Aged Early Type Surface Grog, Correct Shape & Style For The Early Type, Correct Type Material & Manufacture For The Area Found. Ex-Jack Bonds Collection. The Smithport Vessels Are Very Early Caddo Culture, Possibly Being Of The Alto & Haley Time Period. This Excellent Example Has A Nice Finish And In Solid Condition! Includes A Ken Partain Certificate Of Authenticity!